Winterhalter, drummer extraordinaire and one half of Alcest, opens up about the band's new album and musical outlook. Salut Winterhalter! It’s a pleasure and a privilege to communicate with you about Alcest and your extremely appealing new album “Shelter”. You and Neige must be buried by a blizzard of accolades and interviews these days. Where are you now and how are you doing? Hi Jen, I'm glad that you like “Shelter” and yes we have been quite busy with the interviews! I'm doing well, a bit tired after the European Shelter tour with the Fauns and Hexvessel which was amazing and only ended a few days ago. So now I'm back home, but I'm leaving tomorrow to fly to Russia for 2 gigs! While “Shelter” is not a total 180 from your most recent albums, 2010’s “Ecailles de Lune” and 2012’s “Les Voyages De L’Ame”, it is a fully-fledged shoegazer-inspired album with no (post-)black metal influences that at least I can detect. 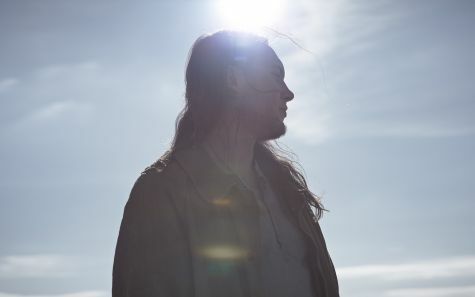 What has this sonic metamorphosis been like for you as the drummer of Alcest? The goal for us on this album for the drums was to be simple, with a lot of dynamics and feeling. So it was very difficult to restrain myself and to find the balance between « too much » or « not enough » without being overdone. On this album the drums are more in the background because we wanted the music to be more atmospheric. I’m blown away by some of your fast and furious drumming passages on the album “Ecailles de Lune”. Do you miss playing in this way or is the more stately, measured pace on “Shelter” a nice change for you? Thank you, I like to play a lot of different kinds of music, so I'm trying to mix these influences in my drumming. I like to play slow and atmospheric or fast with tons of drum fills, but it depends of the music. It was a challenge to do it differently and not to use certain « tools » like blast beat, double kick, etc… I love the challenge and the experience. Neige formed Alcest in 2000, you joined black metal band Peste Noire (of which Neige had been a member) in 2006, and then in 2009 you joined forces with Neige as the Alcest line-up we know today. What is it like to work as a duo? It was quite difficult for me to enter a solo project. 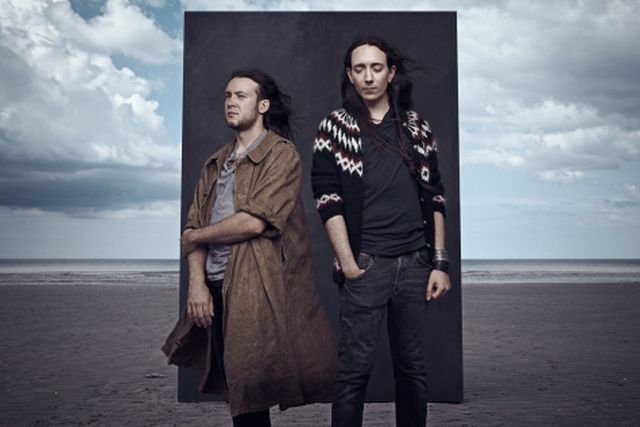 Neige has created Alcest for personal reasons and it took several years for us both to fully connect musically because of this. But now it is second nature for us to work together, we have evolved together as musicians and friends and now share the same vision and direction. From what I understand, you were also in the bands Amesoeurs and Les Discrets at the same time as Alcest. This sounds like a complicated schedule to maintain! How did you juggle being in more than one band? It was quite extreme and also why I'm no longer in these bands. For Amesoeurs it was mostly a studio band with no gigs or tours and we stopped the band after the Amesoeurs album. Because of the growing interest in Alcest and a lot of touring, I had less and less time for Les Discrets. I think it was better for all the bands this way, the geographical distance between each member also didn't help us. So it was a mix of a lot of traveling, rehearsing, touring and recording every day. There was no time for anything else in my life, after a while it didn't work out. I live in New Jersey and my area has been pummeled by snowstorms for the past few weeks. Forgive me if I’m not keen on the snow theme, but I’m wondering why you chose the name “Winterhalter”. Is it associated with the German painter or does it have the meaning of “stopping” or “halting” winter? Do you enjoy cold, snowy climates? Yeah I'm aware of the snow in your area, I have friends living there, good luck! For my stage name, it’s very simple, it’s the maiden name of my mother, so it’s a kind of tribute to her and my family. And yes I do enjoy cold and snowy climates and to camp and hike in the snow during winter, it’s my second favorite thing after music. The same can be asked for Neige’s (“snow” in English) name. Do you know why he picked that moniker and if he too enjoys winter weather? I think it’s like the word “Alcest “, he just likes the sound of it. And no ironically he doesn't like the cold, he just likes warm weather. Interestingly, the songs/lyrics on “Shelter” reflect Neige’s (and maybe your?) restful idyll spent by the sea, where that area is viewed as a safe place to be. Where was the location of this break and did it happen in the winter or the summer? There is not just one location or period, but rather it is a combination of memories and time spent near the coast that inspired the album. How did the album’s theme of escaping to sea correlate with your drumming style? On most songs are you trying to emulate the steady flow of waves or turbulence of water in your rhythms? The drumming on this album is very simple and repetitive (cycling), but with a lot of dynamics, nuances, and waves of cymbals. So yeah it’s close to the feeling of waves and the ocean's movement. Neige’s vocals meld well with the instrumentation on “Shelter”, but so much so that it’s difficult to hear his words. Is he always singing in French? Are the lyrics officially available anywhere? He is singing always in Fench or with created words. The only times he is not doing this is when there are guest vocals by non-French-speaking people. The lyrics are officially available for each album in the CD booklet. Translations are in the artbook or deluxe editions for the last two albums. The reverberating thump of a drum on “Wings” opens the album. What type of drum are you playing at the start? It’s a kick drum with reverb. While some drumming passages are calm and measured, others kinetically shift the pace. What is your favorite song to play off of “Shelter”? I enjoy your work on “L’Eveil Des Muses” which is dynamic and varied with added percussion. Thank you, for now my favorite song to play on Shelter is “voix sereines”, because it is the most varied for drum parts with brushes, mallets, cymbals and the most dynamic song for drums. Since this album contains elements of the shoegazer style, I was wondering if you had a favorite band of that genre. I’m thinking that maybe you like My Bloody Valentine because of drummer Colm O’Coisoig’s playing, especially on the faster-paced, guitar-blitz numbers. My fave band of that genre is Lush because of its ethereal, but structured dream-pop sound, incisive lyrics, sky-high harmonies to pointed vocal delivery, super-tight melodies, kinetic drumming, and chiming to distorted guitar bliss. Ahhh, actually I'm not so into shoegaze, the only time I'm listening to shoegaze is when Neige is playing some bands when we are together, but I enjoy My Bloody Valentine. In an interview with you and Neige that I read online, you mention that you don’t use triggers and that you play naturally. Have you played songs off “Shelter” live yet? Will you be doing all the varied drumming and other percussion that is found on the album? We just finished the Shelter European tour, so yes we are playing five songs off “Shelter”. Believe it or not, the only percussion used for the recording was the drum kit, an egg shaker, and a tambourine. I'm doing all drum kit parts live. As you mentioned, you have a 2-date tour of Russia happening really soon (and later, Japan). Will you be able to drop in on the Olympics at all or spend some time as a visitor in that country? No I don't think so, we won’t have so much time for things outside of the music. You have toured all around the world, like the fictional globe-trotter TinTin. What were the most wild and/or wonderful locations you’ve visited? Every country is different and great, but when we are touring we are rarely able to visit outside the cities we are playing in, so really we don't know these places so well. However Iceland was amazing because we spent 5 weeks there and we were able to rent a car and to drive all around the country. I think you and Neige are currently based in Paris, but are originally from the South East of France. What area of France do you like the best? While the weather is not always amazing, I like the city milieu of Paris. I also like the Alsace and Bordeaux regions and would probably love the Cote d’Azure, but was too young to remember that area when I visited as a child. Neige is from the south of France and now he is living in Paris. For me, I'm from Lorraine (the region to the west of Alsace) and currently living both here and in the USA. I think that my favorite regions are l'Alsace, la Bretagne and Midi-Pyrénées, but seriously most of the regions in France are beautiful and very different from each other. I noticed from your photos that you have long hair and I was curious if that is a pain to manage, especially when you’re on tour. I have kinda longer hair and I find it difficult and time-consuming to take care of properly. How to you manage? I wash it regularly and brush it sometimes, ha ha. But sometimes it is difficult when we are touring. There isn't always a shower available.